Surah al-Fatihah is a cure for physical and also spiritual ailments. “And indeed, We have bestowed upon you seven of Al-Mathani (the seven repeatedly recited Verses), (i.e. Surah Al-Faatiha) and the Grand Quran”. We bring to you the greatest miracle of Qur’an, Al-Fatiha. Use all Fatihah in healing of your Eating Disorder. I was given a gift of Al-Fatiha last Ramadan by a great spiritual lady from Pakistan. I was mesmerized by this short opening chapter of the Qur’an. The more I read Al-Fatiha, I felt the lesser I knew the Sura. Every attempt at understanding the Sura led to discovery of something new. This is indeed one of the greatest miracles of Qur’an. I encourage you to read Al-Fatiha for healing and better health. 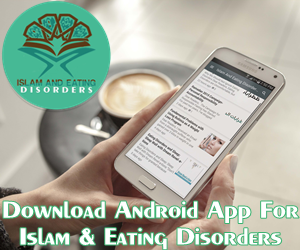 To defeat the demon of Eating Disorder, recitation of Sura Al-Fatiha is must. The article below explains more about the Sura. InshAllah with time, you’ll experience the miraculous benefits of Al-Fatiha. 1. Allah in the name of The Most Affectionate, the Merciful. 2. All praise unto Allah, Lord of all the worlds. 3. The most Affectionate, The Merciful. 4. Master of the Day of Requital. 5. We worship You alone, and beg You alone for help. 6. Guide us in the straight path. 7. The path of those whom You have favoured. Not of those who have earned Your anger and nor of those who have gone astray. Allah is wahid-ul ahad… That is, Allah is absolute oneness, no other existence besides Himself exists who can understand, administer, evaluate or praise Him! Only Allah can know Allah, only Allah can evaluate Allah, only Allah can praise Allah! It’s not possible for one who is at a lower state to praise one who is at a higher state. It’s not possible for me to praise the Rasul, only Allah can praise the Rasul! In order for someone to praise another, he must first encompass that person in every sense, then evaluate him, and then he can either praise him or criticize him. If someone wants to praise or criticize me, for example, he must first encompass my knowledge. I don’t mean he needs to be a graduate from this or that institution or have such and such title. I mean he has to be at a level of consciousness that encompasses the capacity of knowledge that manifests from me. Only after this can he comprehensively and adequately evaluate my thoughts and derivations, determine whether they are correct or incorrect, praise or criticize them! To criticize an idea that’s beyond your comprehension, without such a capacity, can be nothing other than rumor and idle chatter. Therefore, it is neither possible for me to evaluate and appraise someone higher than me or for any form of creation to praise and evaluate Allah! Think of the place of a single human on earth! Now think of his place in the sight of the Sun, which is 1 million times bigger than the Earth! Then think of his place in the galaxy, containing billions of stars like the Sun! And then his place in the universe comprises billions of galaxies! Now think of Allah, the creator of all of this, plus the infinite universes that we can’t perceive and of which we have no idea! How much of the infinite universe embellished with the infinite qualities of the infinite wahid-ul ahad can we appraise and evaluate, let alone evaluate and praise Allah! 1- Reading Sura Al-Fatiha 70 times: Prophet Muhammad (peace and blessings be upon him), said: “Surah al-Fatiha” is open for appealing to believers in Allah, with their wishes. 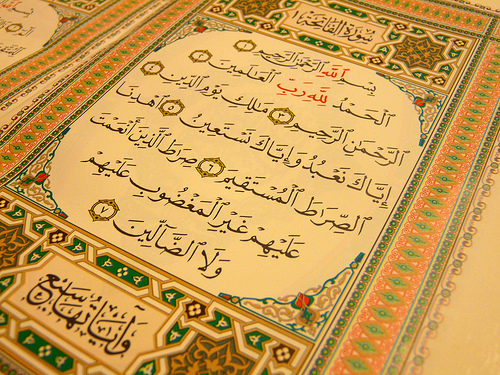 Who reads “surah al-Fatiha” over clean water 70 times for 7 days, and then, after blowing on it, drinks it, God, by His mercy, bestows knowledge and wisdom, cleans his heart from pervasive thoughts, and grants him such an exceptional memory and ability to grasp everything on the fly, that he never forgets anything even if he heard it once.” This is shown in book “Sirr al-Fatiha”. “If anyone is in need of something, let him read surah “al-Fatiha” forty times after evening prayer and two raka`ats of optional (Ratiba) prayer”.